Previously, Idea Cellular had proposed a plan to DoT asking for the limit of FDI in the newly ‘to be merged’ company to be extended to 100%. In the coming week, the proposal has been expected to get the affirmative from the department. Officials confirmed the news after the Aditya Birla company submitted all required documents and when Vodafone India did the same. This approval would mean that the Idea Vodafone merger will just be one step away from approaching completion. A senior official said about the merger to ET as “They have submitted all the documents… we want to clear it at the earliest, it should happen maybe within a week.” He further added, “After that, there should be no hurdle for the merger.” He stated that after the FDI clearance the merger should be on its way within days. 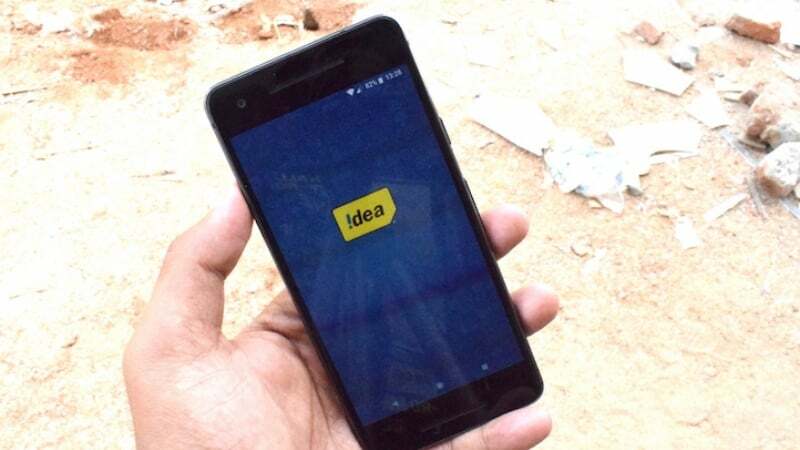 It is notable that the deal which Vodafone and Idea signed in March 2017 will finally materialise in the form of Rs 63,000 crore entity by the end of June this year. As part of the approval of the FDI limit, which DoT asserted in the National Company Law Tribunal (NCLT), Vodafone will take on the debt of the merged entity which it will owe to the DoT. The DoT has made sure to include this in the approval which has been recently signed off. The payment which is being talked here, of the combined entity, amounts to Rs 18,870 crore as a result of pending licence fees, spectrum usage charges (SUC) and one-time spectrum charges (OTSC). However, even though the government might be tempted to force the telcos’ hand to pay the license fee or the SUC dues, it won’t be able to do so since the issue of Adjusted Gross Revenue (AGR) which has been under dispute for more than a decade and under sub judice is the underlying factor in the payment. Also, another news which came up as a result of Bharti-Telenor merger where the court barred DoT to seek bank guarantees in lieu of OTSC charges from Bharti Airtel may also have an unprecedented effect on the merger of Vodafone and Idea. As a result, the telcos may argue against payment of the fee. According to the experts, the DoT would likely work on the merger while keeping it at utmost priority since this merger would earn the government substantial credibility in terms of ease of doing business. Especially in a scenario where a lot of bankruptcies and M&A-driven exits of telcos have happened due to extreme competition and dwindling financials, along with the loss of job of many, this merger might be a big deal for the government also. This merger which is almost finished, will create the largest telecom company in India by merging Vodafone India and Idea Cellular with over 410 million customers under their name, nearly 42% customer market share and nearly 37% revenue market share. These numbers will definitely place the newly formed entity ahead of its competitors. The combined entity will also have a massive debt of Rs 1,14,426 crores as denoted by the data collected in March. Paying up for administratively allocated spectrum? Same principle would then be applicable for Airtel and Tata too….that might explain the delay for that merger? Not sure whether paying for administrative spectrum retrospectively is justified. Can someone explain this to me? Airtel buyout the Tata telecom? @Hela Yes. Tata Indicom acquisition by AirTel happened quite some time back. there is no debate or second view for OTSC. 1) Part-A: payment has to be pre-requisete for merger?? althout idea/airtel is liable for all due from DOT, secondly airtel and idea license, its relations, deposits are with govt. Only Vodafone/telenor is running out of india. part B- : vodafone already under court for not paying taxes to govt. In fact if price is paid based on 2017 market prices, shouldn’t there be extended validity for this spectrum? all of the Vodafone spectrum which is going to be merged will be liberalised before. there will be no validity extension + i believe there will be no full payment of spectrum as if they’re buying it today, it’ll be only liberalisation or ownership transfer charge. Yes Saket , there is lot of legal ambiguity and commercial obligations but lot of goodwill and positivity is there to pass this merger, Kumar Birla is himself lobbying at govt departments and hence it will sail through with govt relaxing it’s stand. Idea may have to pay paltry sum, otherwise idea is no position to pay handsome amount asked by dot . Vodafone is already tax fugitive and would be happy to let go it’s India investment and pack its bag and leave in case idea is not able to sort this out. @saket Vodafone taxes thing is a different ball game. Government passed a law after a transaction happened taxing those kind of transactions, and then has been asking Vodafone to pay taxes retroactively. It is under arbitration and Vodafone is likely to win. Telenor spectrum is already liberalised, what Airtel have to pay for to govt.? the remaining installments of telecom spectrum?